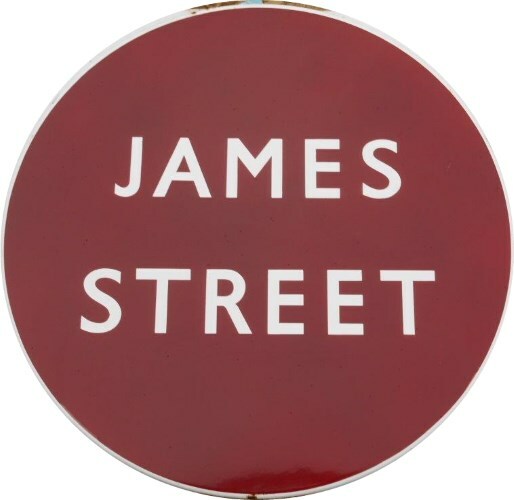 Lot 120 BR (M) Station Roundel Sign "JAMES STREET". Fully flanged. Excellent condition.